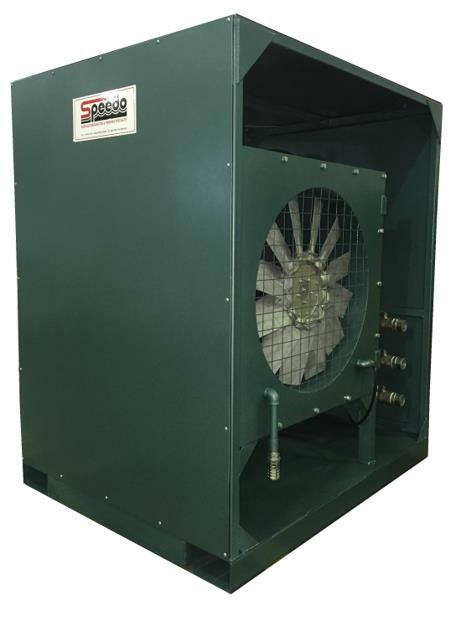 Speedo’s Air-Cooled After Cooler is designed to perform with high portability and durability in conditions where electrical supply is not allowed or not readily available at site. 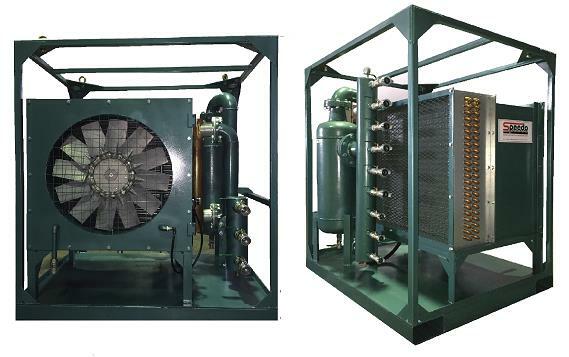 It uses a high ratio heat exchanger, which is cooled by high velocity axial ventilation powered by an air motor. 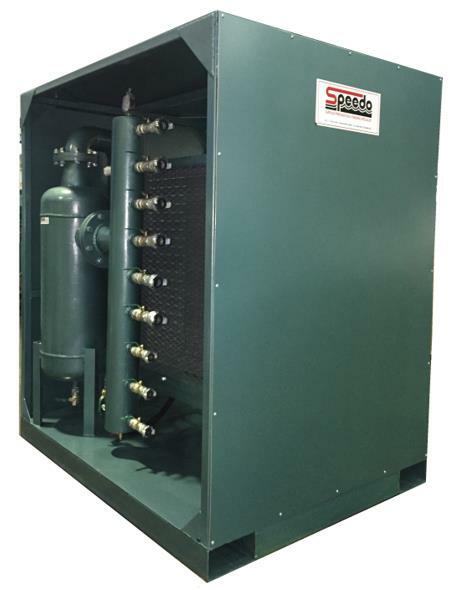 The system is fully integrated within a durable framework, which has an integrated manifold providing for 6 outlets for spray painting.